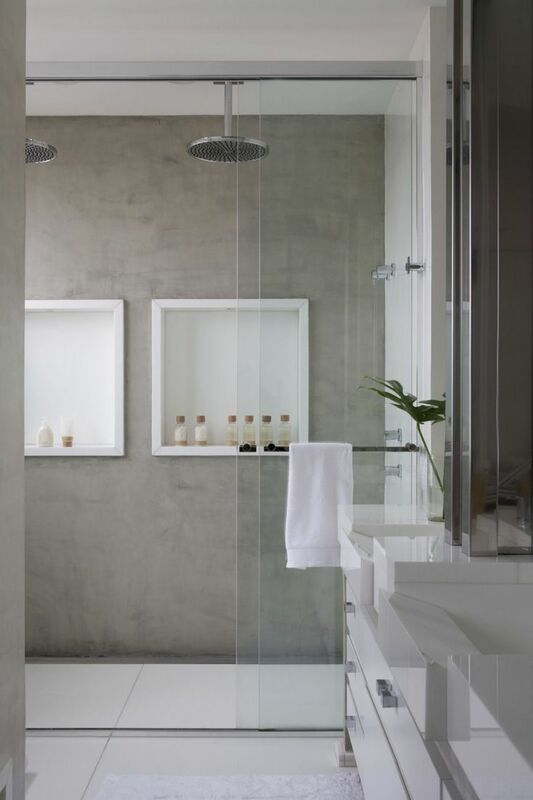 Bathroom design is something that I’ve a great deal of experience with. During the past ten years I’ve worked with London’s most established luxury bathroom companies and took on some great projects. I had never estimated just how much there was to learn about this industry and area of design but it was eye opening. It’s a vastly technical, always evolving with product design and new materials not to mention the challenges with structural elements. Renovating a bathroom is an expensive project so it’s likely that we only choose to or can afford to do this once, the pressure of getting it right can be quite overwhelming. The danger, quite often is when people play it too safe or go too crazy, sacrificing on style. This obviously has to be a practical and functional space but style and design are incredibly important too for a bathroom to look good in years to come. 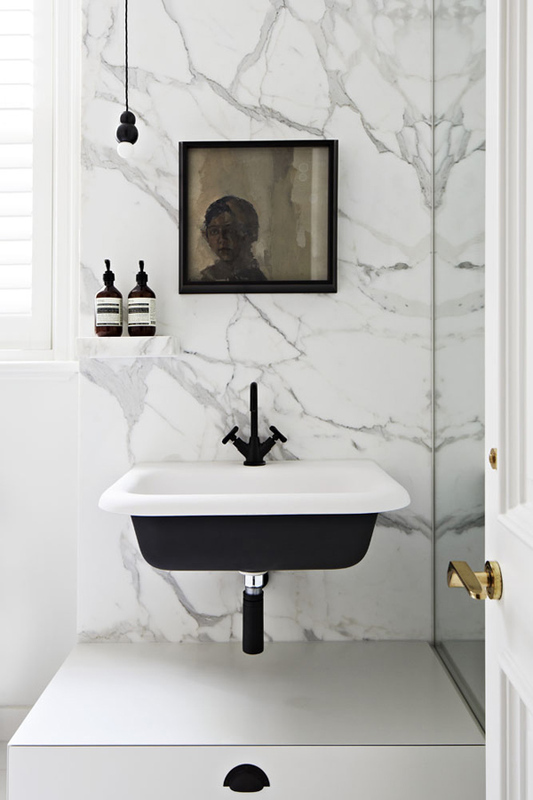 Here are a few ideas that may help inspire you on creating a super stylish bathroom. Introducing a vintage or up-cycled piece of furniture into any room adds instant interest but placed in a bathroom it becomes quite unexpected. I think that this clever use of vintage drawers is both functional and aesthetic. 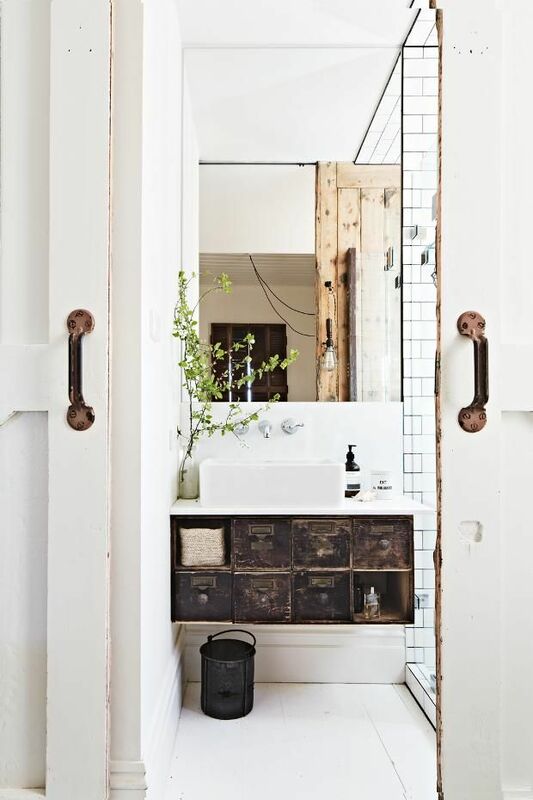 Other great ways of introducing vintage items are mirrors, door handles, free standing cabinets and coat hooks. Creating and designing an easy reach space for your soap and cosmetics is not only practical but can be made into a beautiful feature too. This is a great way to utilise lost space in walls used to box in pipework etc. 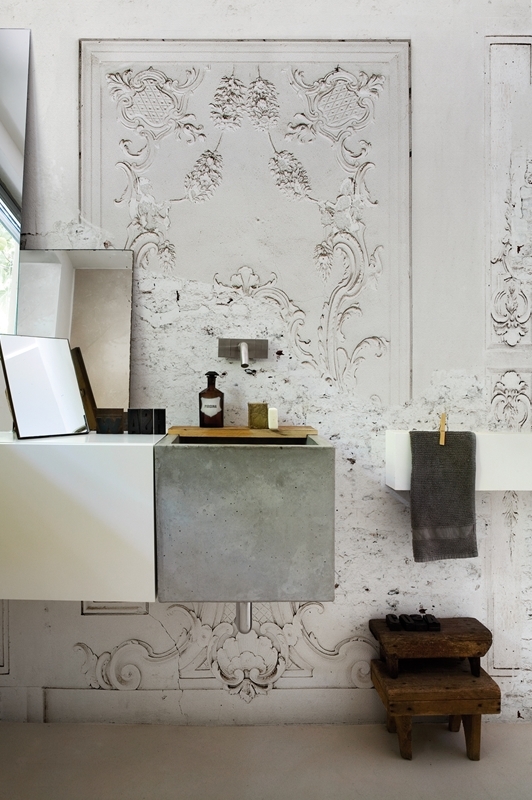 Cladding a wall with stone gives a beautiful and luxurious touch to a bathroom. As this is not a cheap way to decorate however the best use for this material is to only use in feature areas such as behind the basin or in the shower. As well as the obvious beauty there are practical elements too as you avoid those pesky grout lines that many people find unsightly. Bathrooms are no place to be boring! We poo, we wee, we get naked, so let’s not be too serious. It’s the perfect space to be bold, fun and daring. I’m not meaning to be tacky, you can still create drama and personality whilst oozing with style. This image is a great example as it is bold with structure and pattern (bathroom wallpaper available from Day True), raw materials (concrete and stainless steel) alongside composite stone. A clever use of lighting is essential to create depth, warmth and more importantly bring a room to life. 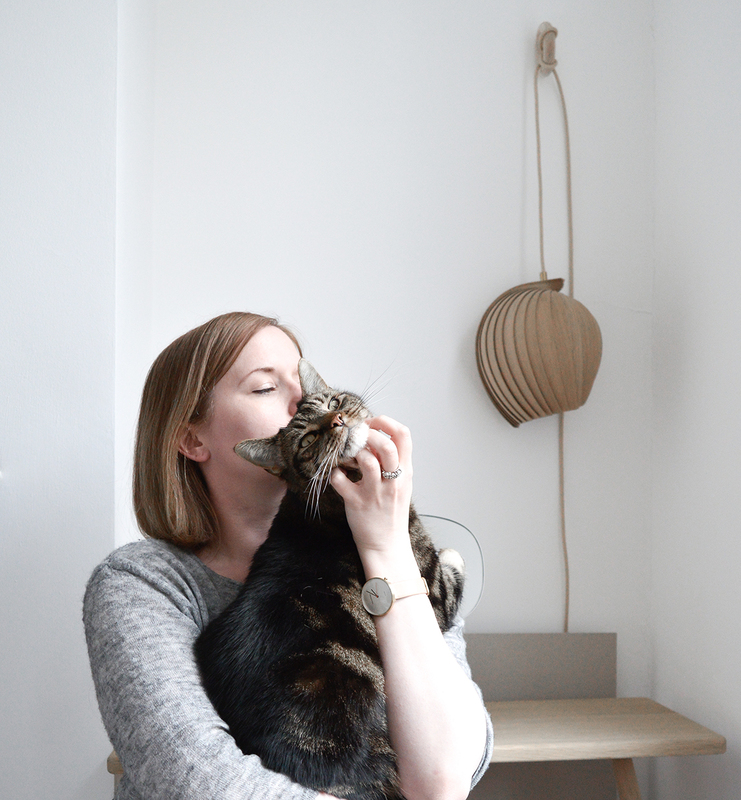 A single light in the centre of a room will make the space feel flat and lifeless. Having multiple light sources that highlight functional areas is key, try back lighting mirrors, recessed lighting, wall lights, pendant lights and spots. This may sound a lot but it will transform your bathroom. 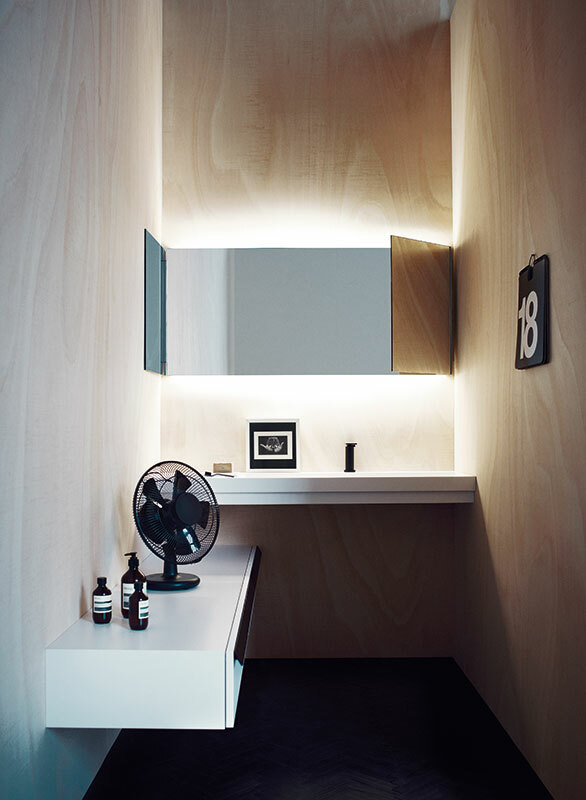 It’s important to note that all lighting used in a bathroom has to be IP rated, which basically means that it has to be safe to use in each particular zone of the bathroom. For a bathroom lighting guide click here.